Graphics are RTP. Mapping is quite decent, with care given to details. That said, there are some duplicate rooms (the inns, for example) and dungeons are very long with no ways out. The writing is decent but there are spelling and grammatical errors strewn through it. The characterisation is decently done, with the main character being the best of the few others who get any screen time. The story is also quite well presented. Sound is alright, but nothing memorable. Music is fitting to the scenes it's used in and there's no jarring nor outstanding tunes. 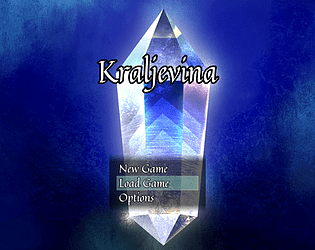 Gameplay consists of typical jRPG content - battles and on-map interaction. You have a choice of which class you want to be. Skills are interesting and build off each other. The descriptions for them and weapons/armour leave a lot to be desired as they don't really inform you of things you need to know. Battles are pretty standard fare but balanced well. I do want to point out that in the dungeon you get about 3 copies of the super special armour and helmet, which is wasteful of treasure chests that could have held other items instead. While I enjoyed most of the game, I did find the dungeons to be too long with no way to leave them easily. If you run low on items, you're going to have a hell of a trek back to the town. This got annoying kinda fast. That said, I liked the story and the main character enough to play past the hour mark, even though I was quite frustrated with the demon caverns. The theme of the game is revenge and sadly it doesn't really focus on that despite the fact that it had ample opportunity to do so. It would have been nice to see a bit more of that in the story, but I guess it did an alright job with it. I at least knew what the theme was, which is more than can be said of other games. I would like to thanks everyone's reviews and comments about the game! It really felt great making this game and I'm positive I will continue polishing this game until it becomes a masterpiece - maybe under another name, as there are a lot of improvements that need to be done. I will place a thought to EVERY single one of your comments about the game and I hope to become better and better. I only had the chance to give your game a try today and unfortunately today was a bad day so I didn't have a lot of time to play it but I liked what I've seen so far from it. Story and visuals are there. But. You need to find a better way to connect the story with the gameplay. I ended up fighting some monsters in the world map (and getting enough money to buy the best weapon I could find) while exploring but I always felt like I was missing something. 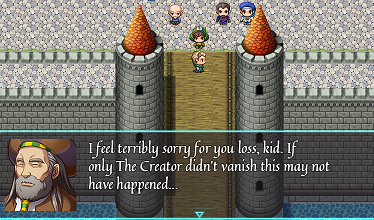 I just played your game and I enjoyed the introduction and walking around in your environments (which were very nice to explore), however I seem to have never found the point where your story was able to continue. I second the review below me, but please let that encourage you to work more on your game and maybe give a bit more direction to the player (at least in the beginning). Thanks, Dezue. I'm glad you like the story. I'll remake it better once IGMC finishes! 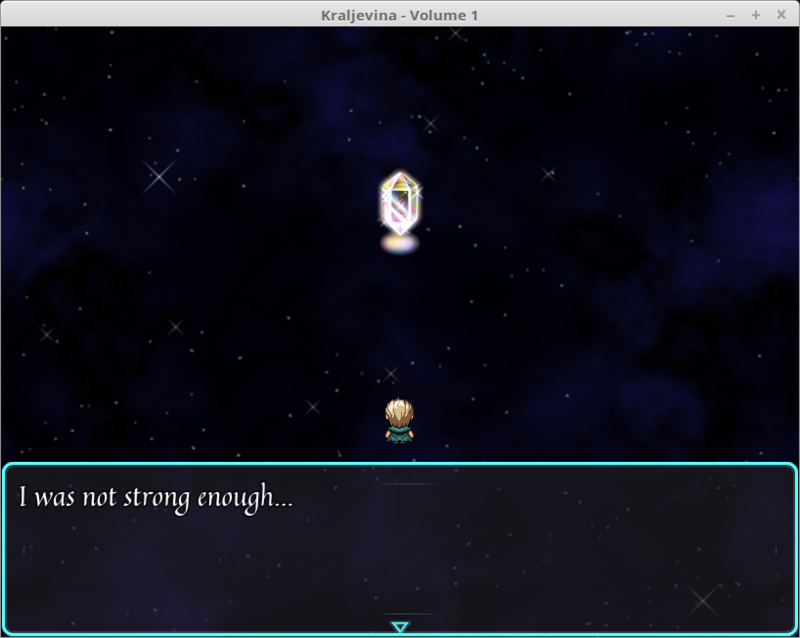 Review for RPG Maker Web's IGMC 2017 Secret Santa! I'm afraid I wasn't able to get very far into this game. 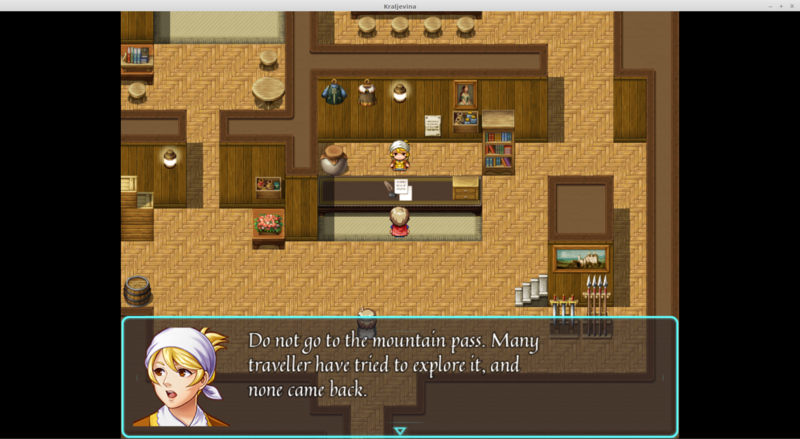 After the introductory plot arc, the player is turned loose to wander the world, but the reachable parts of the world turn out to be a fairly small continent, and it's unclear how to progress the plot from there. My save file for the game says a little over an hour has been spent playing, and an hour is how much time the IGMC judges are supposed to spend on each game, so I suppose I'll use that as my own cutoff point too. It's clear that a lot of enthusiasm went into creating this game. The towns and other explorable areas I could find were sprawling and lavishly decorated. Nearly everything that looked like an interactable object did indeed have an event when the player interacts with it, although most of them simply gave a short description. Unfortunately, the gameplay is rather lackluster. 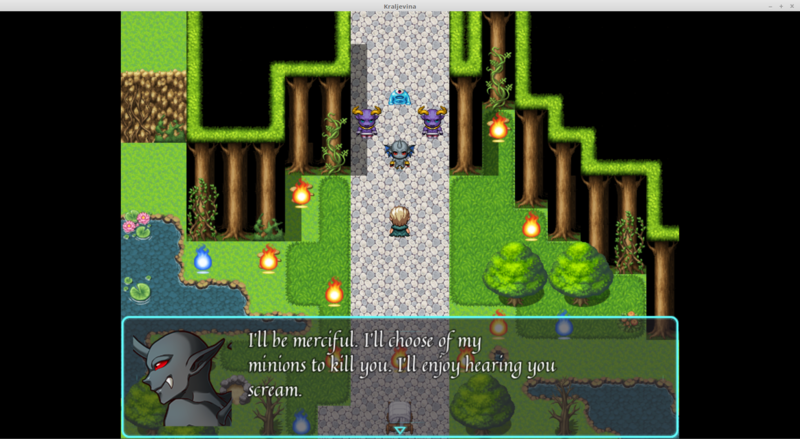 Right after the introductory arc, half of the enemies the player can run into in the wild are completely incapable of inflicting damage on the hero. For the fights that actually do have enemies that are a potential threat, the best strategy seems to be to use the Concentrate technique, which shoots the hero's available TP to maximum, then use the powerful, all-hitting Beta Strike until all enemies are dead. Perhaps it would have grown more intricate and fun had I found my way into later areas of the game, but what I saw was very simple and unbalanced. For a very first attempt at making a game, and doing so in a month, this is a good effort. It needs a great deal of improvement to stand on its own, though. I recommend reading Yanfly's comics about basic RPG making (http://yanfly.moe/comics/) and considering carefully the numbers that are involved in the combats. I should have pointed out better the dirt passage in the mountain range at the west. That's where you should go first, before going to the hill south the capital. After the jam ends, I will turn this into a better game and publish it, maybe even changing the name but we'll ser. I'm going to start by saying that I'm not really that into traditional rpgs, so I know this game wasn't really aimed at me, but I decided to give it a go anyway! There's quite a few typos, and just one of my pet peeves that text doesn't fill the textbox correctly. It's slightly strange that only Komui's dialogue has his name. If you want to have a proper namebox window, you can take a look at Yanfly's Message Core, though consistency is really ideal. Your narration can be inconsistent sometimes too, going in and out of third person and past or present tense. If you're not a fan of mapping (who is? XD) using premade maps isn't taboo, but you really should put the extra effort in to change a few of the tiles around. 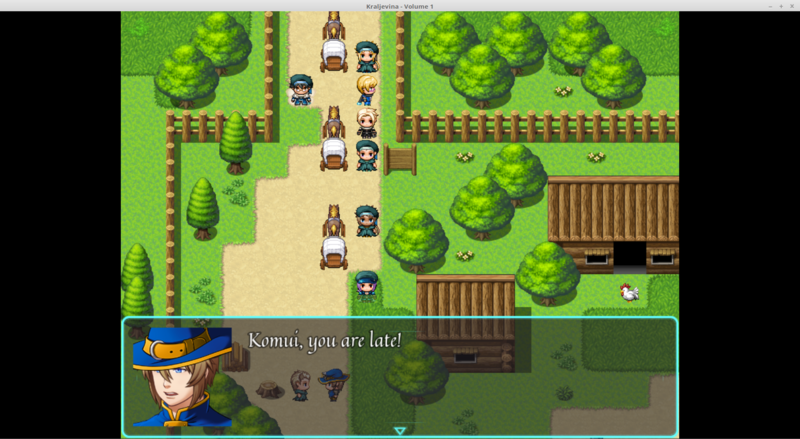 The target audience for rpgs made with RPG Maker is mostly other rpg maker devs, and we've seen these all before. Using the same inn map for Minich'i and Daricha was really confusing too. Because of that, I didn't really feel interested in exploring your world, which was a shame since it did look like you'd put the effort in with the backstory and npcs. I love your random generated characters though haha. Not sure if this was a bug, but I ended up in the desert and was told that I should go to the mountain pass first, but I didn't get warped out of the map so I could have continued that way. I didn't get far enough into the story to find out if that would have caused issues. Trying to enter places I can't usually brought up a message saying I wasn't allowed although I was respected, apart from in Minich'i where I was still apparently a kid. It could be a style choice, but it was slightly weird that none of the buildings had doors. You can quickly make doors by right clicking and using quick event creation if you weren't already aware. So I made it to the mountain pass (after initially exploring and then forgetting where I was going,) and then was promptly killed by a mimic. I know you warned about those, but they were pretty tough. This was about 30 mins in, but I decided that it wasn't worth it for me to continue, since it's just not my kind of game. I was very late adding plugins (like 4 hours before the deadline) so I really couldn't get much done. I should have added a Quest and a minimap system to pinpoint how you have to kill the 3 mini-bosses in the pass so an evil Castle with the final boss appeared in the dessert. I couldn't really test the fonts in my system (the font was very small here). I couldn't really find a way to separate between what Komui was saying and what he was thinking. Also, there were no doors on purpose - people trusted each other on that time so they trusted you wouldn't enter without permission. I also forgot about changing those messages at last minute. Normal enemies in the map where targetted for lvl 10-20, elites are for 15-20 and demonic and mimics for 25 more or less. However, my damage formula was made too lazily and some enemies were not doing even 1 dmg. I'm sorry you had such a bad experience with the game. 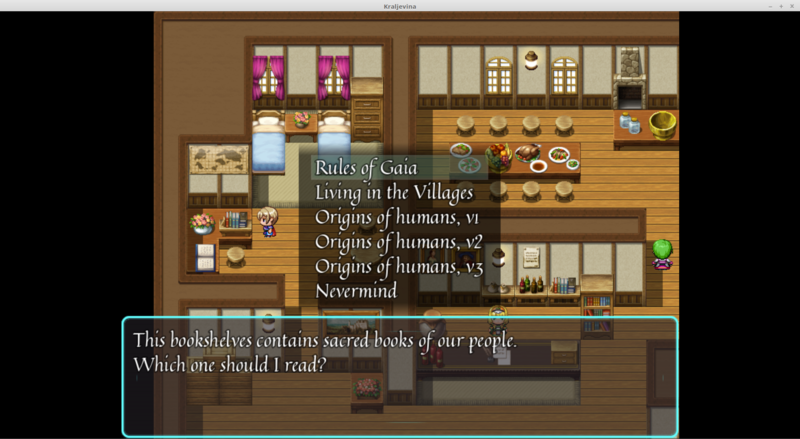 What I spent most time was on backstory and balancing enemies hoping people would immerse in the world. Guess I was wrong. Thanks for you feedback, I really appreciate it!